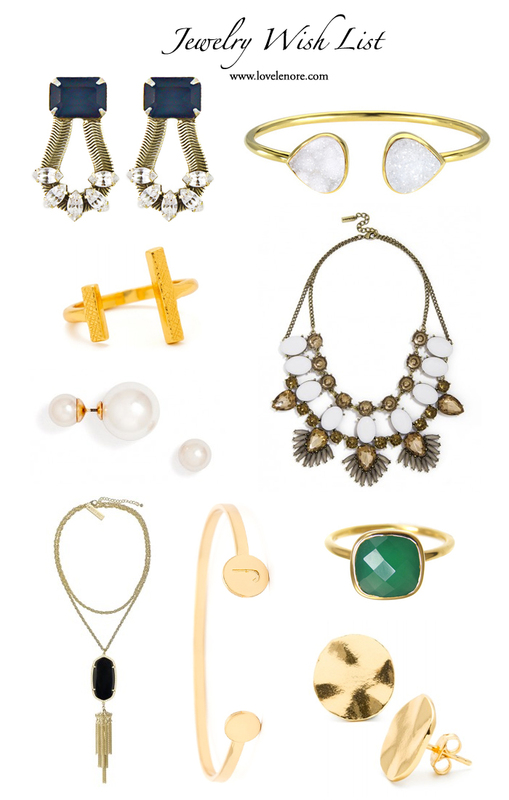 Today I'm sharing a recent shopping focus of mine - jewelry! I've always loved jewelry and been a believer in its importance in completing an outfit, but now more than ever I'm wanting to add great pieces to my collection. I've typically just purchased fun inexpensive jewelry here and there without any planning, but my game plan for jewelry has changed somewhat. While I definitely love and somewhat follow jewelry trends, I've decided I'd much rather purchase slightly fewer pieces that are better quality and that I absolutely love and want to wear for a long time. What was the turning point for me? An amazing company called RocksBox. It's basically like the Netflix of jewelry and I've fallen in love with it. With a membership, you get to borrow 3 pieces of gorgeous jewelry each month based on a stylist's picks from your personal style profile. You can wear them as much as you want and when you're ready to return them you simply rate how you liked each piece and send them back with a pre-paid shipping label. OR if you like a piece, you simply keep it and purchase it for 20% off of retail! Yes, 20% off ladies.